The House Judiciary Subcommittee on Courts, Intellectual Property and the Internet held its second hearing on music licensing on June 25, welcoming input from a variety of interest groups and organizations as a continuation of the ongoing reexamination of our country’s copyright system. You can find our coverage of the prior hearing here. Nine witnesses testified before the committee, offering opinions that varied in focus but all highlighted major areas of potential reform. Witnesses for this hearing included singer/songwriter Rosanne Cash representing the Americana Music Association, Cary Sherman (CEO of the Recording Industry Association of America, or RIAA), Charles Warfield on behalf of the National Association of Broadcasters (NAB), Darius Van Arman on behalf of the American Association of Independent Music (A2IM), Ed Christian of the Radio Music License Committee (RMLC), Paul Williams as President of the American Society of Composers, Authors and Publishers (ASCAP), Chris Harrison of Pandora, President of SoundExchange Michael Huppe, and David Frear, CFO of Sirius XM. 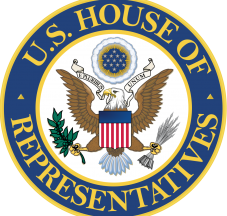 This time, it was Rep. Jerrold Nadler (D-NY) who laid down some truth at the beginning of the hearing, by stating that “Although there were varying points of view about the specific problems in need of a legislative solution, there was widespread agreement that the system is in need of comprehensive reform… The current music licensing system is rife with inconsistent rules and inequities that make no rational sense. If we started from scratch, no one would write the law as it stands today,” going on to cite the lack of a performance right for terrestrial radio as a key example of these discrepancies. Rosanne Cash’s testimony centered on the straightforward notion that “all creative people are entitled to fair market compensation when their work is used by others, regardless of the platform.” She went on to highlight the need for a public performance right for terrestrial radio, her desire for more open and fair royalty rate negotiations, her support for the proposed Songwriter Equity Act, and ended by emphasizing the need to compensate artists for pubic performances for pre-1972 recordings. As the principle voice for recording artists during the hearing, she did a fine job of putting a human face on many of the key issues in the ongoing music licensing debate, and underscored artists’ desire for more transparency. Cary Sherman of the RIAA continued the testimony, echoing many of Cash’s points regarding public performance rights on AM/FM and digital performance royalties for pre-1972s, but also advocating for more uniform rate standards and the centralization and bundling of rights licensing. Next, Charles Warfield, representing big radio broadcasters, in contrast to most other witness, extolled the many virtues of the status quo, claiming that the current music licensing regime (without a public performance right) has allowed for both local and nationally-focused radio to flourish in the US and thus promote the public good. (Of course, NAB’s purported support for localism rings a bit hollow when you examine their track record of opposing LPFM expansion and promoting deregulation, resulting in homogenization.) He did, however, argue that licensing rules for webcasting were too restrictive and did not allow radio stations to effectively take advantage of this platform. Darius Van Arman, co-founder of the Secretly Group of independent record labels spoke up for the interests of the indie sector, taking care to emphasize while “the independent sector wants nothing more than a free market with a level playing field,” the greatest threat to that level playing field is increasing market concentration, a point he elaborated on in a Billboard op-ed. He put forth a number of commonsense, straightforward conditions for the future of copyright policy: that it “increase the value of music, make copyright more equitable, reduce inefficiency, and enable creators to create what consumers desire.” With regard to the notion of an omnibus bill addressing multiple music licensing issues in one package, Van Arman argued that any “music bus” must be driven by all members of the music community, not steered by narrow special interests. Van Arman also supported a public performance right for AM/FM radio, noting that it would allow for the collection of overseas royalties, currently unvailable due to reciprocity rules. Ed Christian of the Radio Music License Committee, much like NAB’s Warfield, argued against the push for a public performance right for sound recordings on terrestrial radio, while making the case for the conglomeration of the performance rights organizations (ASCAP,BMI, and SESAC) into a “supralicensing collective” and decrying the inefficiencies of the licensing system as a key timewaster for radio stations and other distributors. Legendary songwriter Paul Williams of ASCAP made a nuanced case for specific update of the consent decrees that govern the PROs, arguing that they currently result in songwriters’ labor being undervalued. He warned that without changes to these decrees, publishers could feel they had withdraw their catalog from PROs, and the system of voluntary collective licensing could collapse. As expected, he echoed Cash’s support for the Songwriter Equity Act. The next testimony came from Chris Harrison of noninteractive streaming service Pandora, who quoted FMC’s Casey Rae in his defense of the utility of consent decrees and statutory blanket licensing, stating, “The incredible growth of Internet radio, for example, would have been inconceivable had fledgling webcasters been compelled to negotiate with all the music publishers individually. Without an easier way to obtain permission to play songs, Internet radio may never have happened.” While we appreciate the shoutout, and we do agree that consent decrees create important efficiences and allow independent songwriters to gain leverage, this doesn’t mean we don’t share songwriters’ concerns about compensation. We clarified our position on this in our written testimony for the music licensing hearings. And as we noted in another post, Harrison went on to make some hyperbolic claims about the current rates’ impact on one recently shuttered internet broadcaster. We next heard from Michael Huppe of SoundExchange, who advocated for congressional action on pre-1972 copyrights and on the public performance right for radio, arguing that different kinds of radio services, online and offline, should compete on value and quality, not on “the strength of their legal loopholes”. He referenced his organization’s public support for the RESPECT act. The last testimony came from David Frear of satellite radio service Sirius XM who, as expected, repeated many of the same points as Harrison, albeit with a more critical approach to the Songwriter Equity Act and the RESPECT Act, which he claimed would exacerbate the differences in treatment between digital and terrestrial radio services. He also remarked that the consolidation of the music market effectively negated the possibility for a free market standard in royalty negotiations, thus rendering the 801(b) standard currently in use as the only fair method of arbitrating those negotiations. Among the more notable moments of the questioning included an extended examination by Rep. Hakeem Jeffries (D-NY) of Harrison and Frear regarding the federalization of pre-72s. Both witnesses offered descriptive defenses of their non-payment of these royalties, but neither appeared willing to argue that pre-72 performers were undeserving, suggesting that should Congress federalize pre-72s, they would be willing to pay the performance royalties required. Oddly, the biggest barrier to full federalization may be the major labels. As many industry witnesses returned to the notion that creators deserve a “fair market rate”, a central question that was reiterated but remained unanswered by most was posed by Rep. Thomas Marino (R-PA): what is the difference between a fair and a free market? This is a crucial definitional question, because it speaks to the central purpose of all of these hearings, and defines the role government can and should play. In perhaps the best answer of the day, Darius Van Arman replied: a fair market serves all creators, including small creators, as well as serving the public interest. We couldn’t agree more.